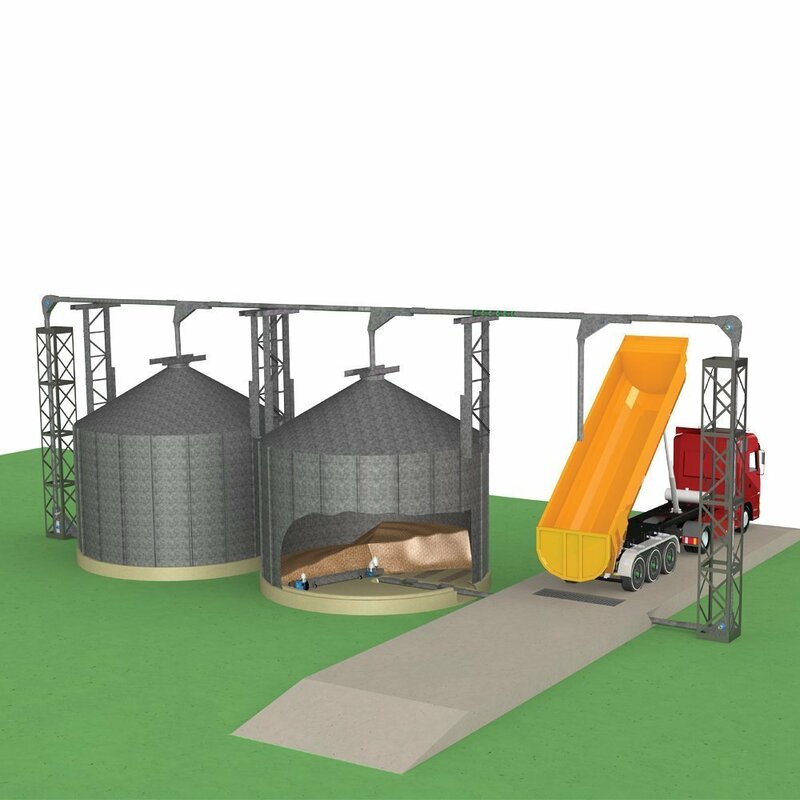 Elica manufactures a system for operating silo bins and warehouses by closed loop chain conveyor. 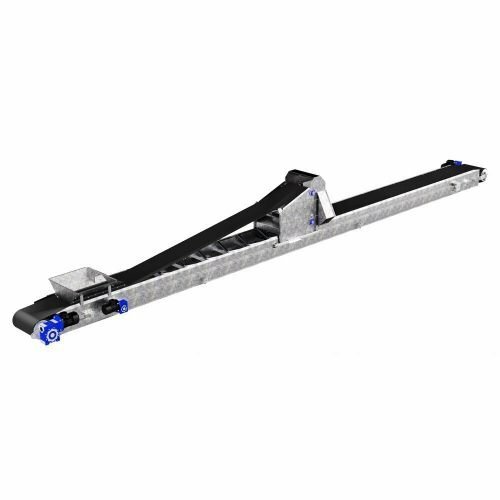 Closed Loop Chain Conveyor combines unloading, transportation and loading in one process. This type of equipment replaces several traditional conveyors, while saving costs on electric power consumption and maintenance. It can replace two elevators and two chain conveyors in a system which conveys the material in a closed loop. 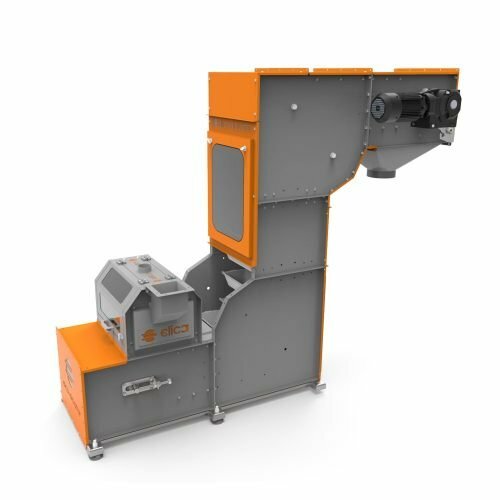 While this equipment is a simplified complete solution for vertical and horizontal conveying of grain and bulk material it reduces the cost and time for designing, installation and maintenance. The conveyor is reliable with very low rate of breakages, low power consumption, requires minimal maintenance and it can work in high capacities. This conveyor is designed to reduce the dust in the production unit improving the working conditions. 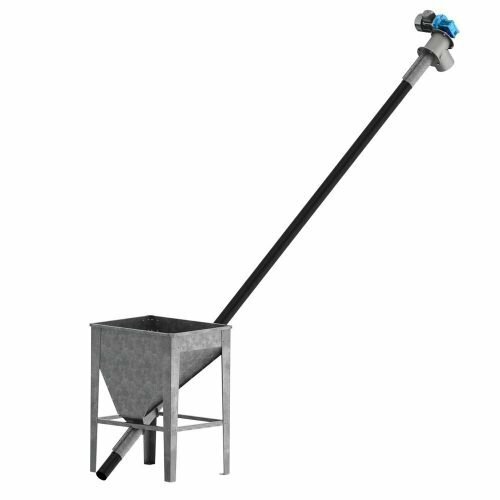 The equipment is mounted around conical and flat-bottom silos, warehouses or machines for cleaning seed and grain, thus enabling feeding and emptying with ease. 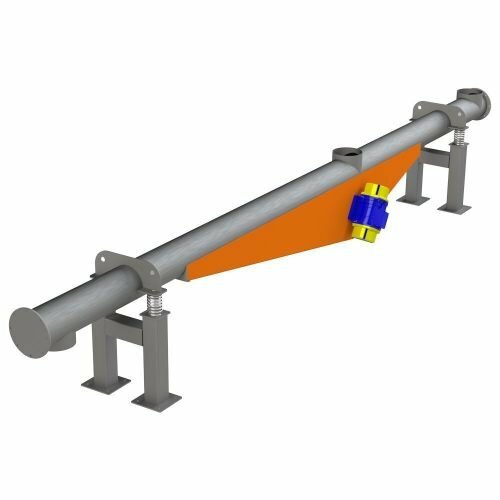 The tubular chain conveyor carries the bulk material gently and evenly without damages, even at high speed due to the paddles made of plastic PE “S” 1000 which helps to increase the service life of the conveyor.